burned to the water’s edge. The Naval Officer’s House was struck and his writing desk smashed. The great dangers was that it might have opened the Jail: it was then the only place where any prisoners were confined and situated facing the Cove in George Street. The Soldiers Barracks were then in Wynyard Square, but there was a large Guard House at both sides of the jail, as well as one at Government House, an Officer’s Guard at each. A NEW SITE FOR THE things I find which don’t fit into MELINDA KENDALL or LYNNE BELL SANDERS. “Some time around 40,000 years ago, some people arrived in boats from the north. They ate all the available food, and a lot of them died. The ones that survived learned respect for the balance of nature, man’s proper place in the scheme of things, and spiders. They settled in, and spent a lot of the intervening time making up strange stories. About then the sheep arrived, and have been treasured ever since. It is interesting to note here that the Europeans always consider themselves vastly superior to any other race they encounter, since they can lie, cheat, steal, and litigate (marks of a civilised culture they say) – whereas all the Aboriginals can do is happily survive being left in the middle of a vast red-hot desert, equipped with a stick. WE CAME ON ONE WAY TICKETS – ASSISTED BUT UNINVITED. ASSISTED TO LEAVE FROM ONE END AND UNINVITED BY THE OTHER. THE ELECTRONIC QUILL BRINGS YOU TALES OF TIMES BARELY UNDERSTOOD AND DEEPLY ESSENTIAL IN LETTERS IN SAND. DIP IN YOUR QUILL AND CHOOSE YOUR INK. THESE ARE OUR STORIES. THE CONVICT AND THE EMIGRANT AND, ON OCCASION , WE HEAR FROM THAT ALIEN FIGURE – THE ONE WHO CAME FREELY. THIS IS HOW WE CAME. THIS IS WHAT HAPPENED. THIS IS WHAT WE ARE LIKE NOW. FROM JAN AND BARRY MAURICE . WILLIAM GEORGE SANDERS: 3rd CHILD OF WILLIAM AND MARY ANN SANDERS WHO ARRIVED ON VICTORIA IN 1849. Born 1853/4 ? at YARRABANDINI STATION, FREDERICKTON. where he was employed as a farmer until the age of 38. he gained a position as BOATMAN at the PILOT STATION at GRASSY HEAD which at that time was the mouth of the MACLEAY RIVER. William had married Eliza Mary Hurrell who was born in 1858. When the MACLEAY altered its course during the flood of 1893, the pilot station was moved to SOUTH WEST ROCKS some 10 kilometres to the South to occupy the new site of the river mouth. As well as a new pilot station, four new Boatsmen’s cottages were built and completed in 1902. The original settlement of ARAKOON a mile or two east of the present day town of SOUTH WEST ROCKS on the TRIAL BAY Road was completely devastated by the flood. The Methodist Church was replaced by a new one built this time on high ground at SOUTH WEST ROCKS. WILLIAM GEORGE was a pillar of the Church , being credited with the building of the church pews and supplying the church with whale oil for lighting during his 40 year span as TRUSTEE and CHURCH ELDER. William , like his father before him, was a keen oarsman and had success in many local regattas – a feature of the life of the river communities until quite recent times. William retired to a modest wooden cottage on the corner of PARAGON STREET and MEMORIAL AVENUE, SOUTH WEST ROCKS where he lived until his death on 20th August 1923. The site is now occupied by Peter Need’s Pharmacy but the house has been moved to a new location at 98 Mitchell Street and is known as LUCY’S COTTAGE named after LUCY BAKER, the last occupant before the house was moved. Some of her descendants still leave nearby. Of the four Boatsmen’s Cottages three remain. One is now the Police Station, another is privately owned and another houses a small maritime museum and tourist information office. In this museum, there is a photograph of WILLIAM in advanced years ( wearing the uniform of an army lieutenant) and a brief biography. 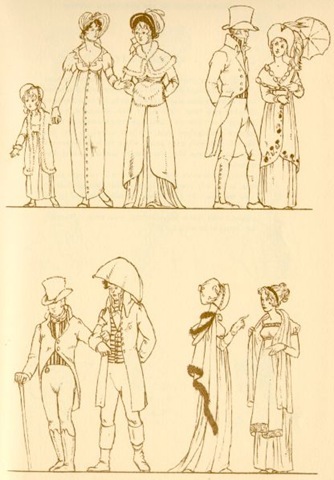 WILLIAM AND MARY ELIZA HAD 11 CHILDREN. 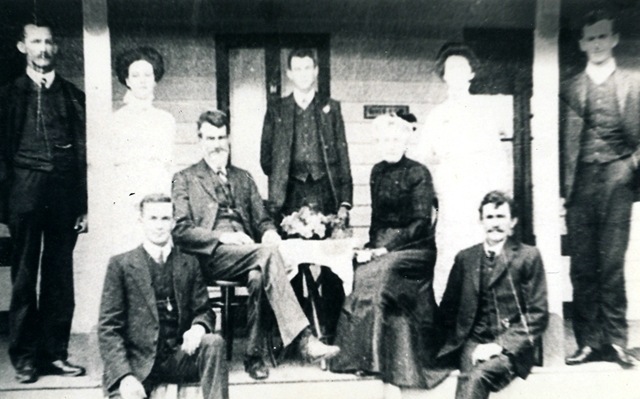 Their eldest was MARY ELLEN ( NELL) who was born on the 25 April 1880 and married ROBERT JAMES WILLIAMS at KINCHELA in July 1904. Six of their sons fought in the GREAT WAR. ALEXANDER MACLEAY their fifth child, was the first soldier from the Macleay district to be killed in Action. He died at LONE PINE, GALLIPOLI from a TURKISH grenade. MEMORIAL AVENUE in SOUTH WEST ROCKS has a number of white memorial stones lining its kerb each one listing the regimental number, name and regiment of a soldier killed in the GREAT WAR. WHAT DOES A SANDERS IN AUSTRALIA LOOK LIKE ? collection of a poll tax levied on the Victorian Chinese community a decade earlier. Well the week of access to the BRITISH LIBRARY HISTORICAL NEWSPAPERS IS OVER. Now I am left bereft. Now I am left with rather a lot of cut and pasted articles to sort through. I will begin putting them up on this site and on MELINDA KENDALL . They range from 1812 U.S. – CANADIAN WAR where Patrick McNally was court martialled through to MELINDA MCNALLY’S name in an English Newspaper following the death of Henry. I have collected snippets on all manner of background matters so bear with me and we will see what I have found amongst this mass of British Newspaper materials. Some might not directly appear to relate to my own family but I shall include them because they are era appropriate and act as a diorama illustrating the world as it was in their time and a telescopic view of the Colony from the ” Mother Land “. They include HANNAH HUTCHINGS’ sentence of death and the details of the BEEJAPORE bringing the CRAIGS here in 1853. There are background images of KENTON, DEVON where generations of SANDERS’ lived and from which MARY ANN SKIVINGS and WILLIAM SANDERS came in 1849. 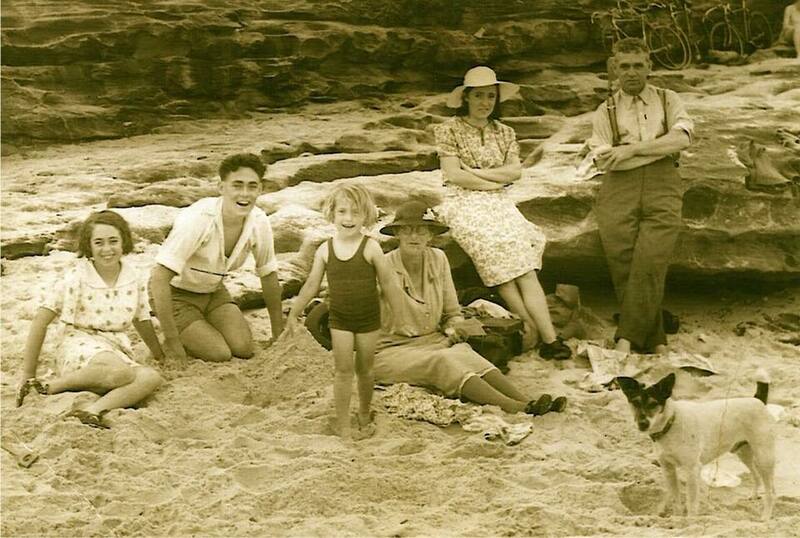 The SUTHERLAND SHIRE of WILHELLMINA MCLEOD and her mother JANET MACKAY is featured. I KNOW there were many more GEMS in there but time and poor Vodafone 3G connections beat me. Nevertheless, lets see what we have amongst all this hastily gathered information.